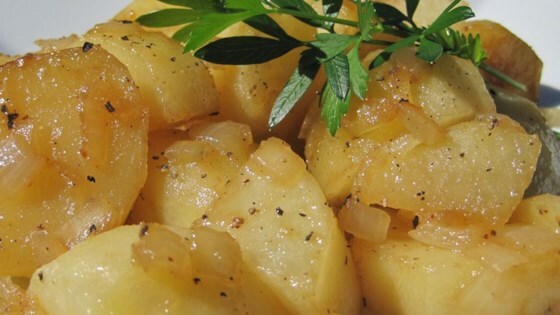 Delicious honey roasted red potatoes! These were absolutely delicious! Because of long experience with roasted potatoes, I allowed an hour to roast, and covered with foil for the first 40 minutes. This is definately a keeper!